After just over a year out of service, Sheffield 510 returned to use at the Crich Tramway Village on Wednesday 15th August. The tram had been involved in a mishap – details of which were never fully clarified – which resulted in some damage, including a dented dash panel at one end, last summer, and has been out of action since this time. 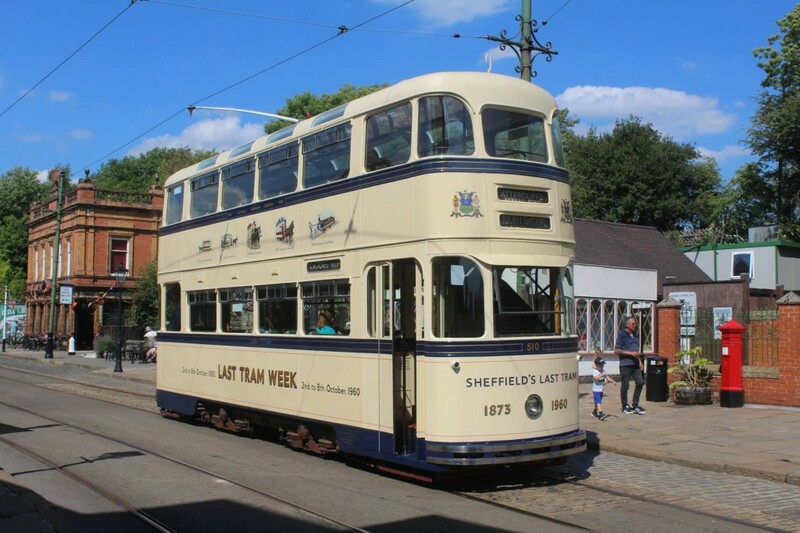 Following completion of repairs and application of signwriting to restore its full ‘Last Tram’ livery, 510 was commissioned and, after being road tested on 5th August, it was finally approved for passenger service. Its first day of service was 15th August, and the tram is now expected to be a regular performer for the remainder of 2018. This means that both of the surviving Sheffield ‘Roberts’ cars are now operational once more; the other of course being 513 which is currently based at the East Anglia Transport Museum.